1) The paper summarises a keynote presentation given at the 8th FIG Regional Conference, Montevideo, Uruguay, 27 November 2012 and describes a comprehensive and impressive Uruguayan project called "Plan Ceibal". All school children have received a free lap top, and a software to manage geographic information has been developed, implemented and used at all Uruguayan schools. At the same time the project shows a remarkable cooperation between different Uruguayan organisations. 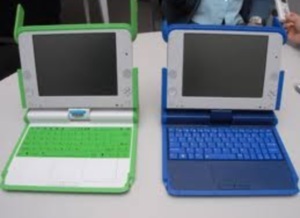 In Uruguay Plan Ceibal  has existed since 2006 as an implementation of the One Laptop Per Child (OLPC) program. This Plan has given a laptop to each school and high school student, and has installed Internet access in all the educational centers and some public spaces. The laptops, called XO or “ceibalitas”, are low-cost, free software based and resistant to the treatment of its users (kids). The XO have limited resources and are designed to run education applications that can support learning activities. The Plan Ceibal has also created the Portal Ceibal website that publishes new educational resources available to the different areas of study, including geography. gvSIG  is a free software to manage geographic information (GIS) initially created by the Generalitat Valenciana and currently supported by the gvSIG Association. As a GIS software, gvSIG can import, query, modify and create new geographic information, even applying geoprocessing. 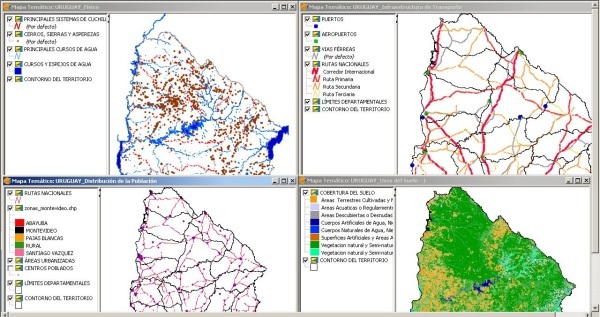 The National Survey Department of the Ministry of Transport and Public Works of Uruguay , in early 2011 signed an agreement with the gvSIG Association and Plan Ceibal to develop software based on gvSIG, that will provide students of primary and secondary level of a tool to acquire knowledge of geography. This project was then attended by the Faculty of Engineering of the University of the Republic through the Group of Geospatial Information Technology (GTIG - Institutes of Surveying and Computing) . The GTIG was involved working in the definition of the features of gvSIG Batoví (gvSIG Educational), the program adaptation to different ceibalitas models, developing user and installation manuals of gvSIG Batoví and in the preparation of a theoretical document. This paper presents in section 2 some background about educational resources for geography and the proposal for gvSIG Batoví, in section 3 its functionalities are commented, in section 4 some examples of use and documentation of gvSIG Batoví are presented. In section 5 the main challenges solved are briefly discussed. In section 6 the launching of gvSIG Batoví and how it is distributed. Finally in section 7 we present some conclusions and future works. At the beginning of the Project, we studied an early version called “EduSIG” that was based on gvSIG 1.1.2. This version was developed with fixed information about Spain and Canary Islands more precisely. In this study was also surveyed what applications for geography were available for Plan Ceibal. This study showed that there were some educational applications with fixed data that provided activities to locate a place name or something according to their location. One example of this application is the one provided by the Tourism Ministry called “Fotoaventura”. Both Studies showed that the educational applications had a fixed data set that can not be changed. Also they offer fixed ways of interaction: seek, name, select. From the beginning it was taken into account the characteristics of the computers that will be used gvSIG Batoví: the “ceibalitas” or XO. These laptops are low cost and have limited resources. Initially were two models: the XO 1.0 (green) used at primary school level and the XO 1.5 (blue) used at the secondary level. These laptops have an operating system called Sugar  based on Linux. The next figure shows these two models. At International level this new distribution of gvSIG will be known as gvSIG Educa , the name gvSIG Batoví is used for Plan Ceibal in Uruguay. In terms of functionality both distributions are the same, but the gvSIG Batoví is adapted for the machines of Plan Ceibal in Uruguay. gvSIG Batoví is an extension of gvSIG 2.0, so it has all the functionality of a GIS: import information, explore, modify and create derivative information. In particular, it has the gvSIG projects to work with several layers of information (in different coordinate systems), with the functions of symbology that already have gvSIG (you can define how is showed each layer, even classifying their data). The new concept in gvSIG Batoví is the Thematic Maps. A Thematic Map is a set of layers logically related, that have a defined symbology and that can be exported as a package. In this way, a school teacher can define the thematic map that she needs and later export it to distribute it to their students. The students can load the thematic map defined by his teacher and will have the layer set with the symbology already defined. In adapting gvSIG to ceibalitas was noted that due to limited resources, not all types of ceibalitas could run gvSIG Batoví. Bacause of that, a simpler tool for the ceibalitas with less computing power was developed: the Map Viewer. This application can load Thematic Maps generated with gvSIG Batoví, and provides the student with the basic tools to explore maps. In this way the kids could load the Thematic Maps designed by their teacher in their ceibalitas and explore the information interactively. The next figure shows the Map Viewer tools: the ones of navigation (pan, zoom, full extent) and the ones of data exploring (identify, measure distance, measure area). It is notable that this application was developed to run on the ceibalitas on Sugar operating system  and adapted for display on the small screens of these machines. This application has the basic tools for the exploration of geographic information in a interactive way and allows the students to load different thematic maps in order to study different things. In the next section different uses will be presented. During the development of gvSIG Batoví a geography teacher was part of the Project team, to advice about the educational use of the gvSIG Batoví. To generate examples of use of gvSIG Batoví, the curricula of geography at primary and secondary level were studied. Based on this, examples of use were generated that can be used in the study units already defined in the curricula. The National Surveying Direction provided a set of official layers of Uruguay for the generation of examples of Thematic Maps that can be used in geography courses. This official layers were simplified to highlight the most relevant information. For example, in the layer of routes the main routes were prioritized, removing some rural roads. Using the data provided by the Surveying Direction and considering the official curricula, five thematic maps were defined. These thematic maps can be used by the teachers or taken as examples for the generation of their own. The thematic maps defined are: Physical Map, Political Map, Transport and Communications Maps, Population Distribution Map and Land Use Map. The next figure shows four of these maps, as seen in gvSIG Batoví, with their legend at the left side. To allow teachers to more easily approach gvSIG Batoví, a document was generated about SIG and with an introduction to cartography. This documentation is complementary to the installation and user manuals of gvSIG Batoví that are published along the application in Portal Ceibal . In this section we comment the main challenges faced during the development of gvSIG Batoví. As was earlier mentioned, the limitation of resources of the laptops was a big technical challenge, mainly to achieve a good level of usability. The project managed to generate a usable tool for the XO 1.0 (green ceibalita): the Map Viewer. It was also tested that gvSIG Batoví can be used in the XO 1.5 (blue ceibalita) without any problems. At a technical level it was found that the operating system of the laptops, Sugar, does not include Java, which is the technology used to develop gvSIG and needed to use it. This problem was solved searching in the resources for Sugar. An activity Java  was developed by volunteers of Ceibal Jam . During the time that gvSIG Batoví was developed, Plan Ceibal has acquired new laptop models that have more resources and include dual boot: Ubuntu and Linux. gvSIG Batoví was tested in all the laptops models in use at Plan Ceibal and was adjusted to the display size. Another important point when generating the examples of the thematic maps; the data used has national coverage and is a large data set. To solve this problem, the data set was simplified to assure that can be loaded in the laptops and that are still useful as a educational resource. Finally, we want to highlight the opportunity to the inter-agency cooperation, due to this project the following different institutions worked together : DNT, gvSIG Association, Plan Ceibal and Faculty of Engineering. Several coordination meetings were needed, in which the ideas were discussed and interchanged. Also, the participants of the different organizations have very different background and formation, so the work was truly interdisciplinary. The team included Geographic Information experts, a geography teacher, surveyors, and informatics, among others. This way of working is rewarding for each member of the team and allows us to generate products evaluated from different points of view. gvSIG Batoví was presented in the Ministerio de Transporte in august of 2012 and was after that realized in the first training workshop about its use to teachers. The workshop was attended by geography inspectors of secondary level and Ceibal referents in geography, and young teachers motivated for the use of new technologies. gvSIG Batoví was later presented at the 4tas Jornadas Latinoamericanas y del Caribe de gvSIG, including also a workshop of use . In October, gvSIG Batoví was presented as a poster in “Ingeniería DeMuestra” , the annual exhibition of projects realized at the Engineering Faculty of the University of the Republic and that this year was visited by over 3000 people. With this activities gvSIG Batoví is given to the community as free software for use and development, guided by the spirit of gvSIG. Plan Ceibal has provided its infrastructure to dowload gvSIG Batoví from the Portal Ceibal. It is available with the different installers (for the different models of ceibalitas and for Linux and Windows), the documentation and the examples of Thematic Maps . Also, it is available in the gvSIG website as the gvSIG Educa  extension. In this website it can be accessed by all the gvSIG community and at the same time participate in it future development. It also has a mailing list for communication of the members of the community, both developers and users, since the list is public and open. 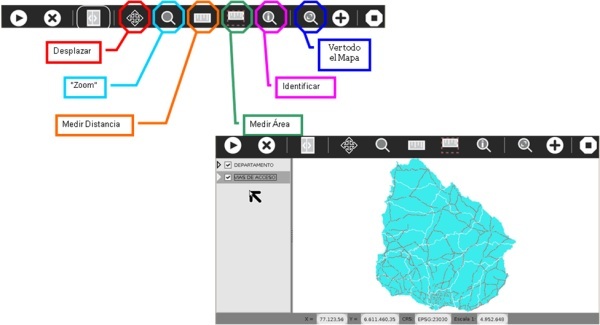 gvSIG Batoví is an educational GIS specially adapted for Plan Ceibal. In this work was presented the development context, its functionalities and the examples of thematic map that were generated along its documentation. Also, the potential use and some of the outreach activities that have been conducted were discussed. This tool is one step in the way of transforming the teaching by the use of the news technologies. In this case the school students can interactively explore a map, having new tolos instead of the classic paper map. The students at advanced levels have the same tools to explore the information and can also generate their own thematic maps, as the teachers do. Now there is a new tool that allows introducing digital cartography and geographic information notions at earlier stages of the education. Finally something to note is that gvSIG Batoví can of course be used to study geography, but can also be used to study other disciplines that can be linked to the territory. An example of this is that different public institutions have layers of information related to environment, human development, ecosystems, protected areas, historical places, etc. This allows that gvSIG Batoví could be used for the study of biology, history and other areas related to territory. Some future works include generating Thematic Maps for other subjects as biology or history. The biggest challenge in this line of work is gathering information and georreferencing it to generate thematic maps. Another line of work proposed to the community of gvSIG Batoví is generating thematic maps as the examples, to other geographic areas in the world, for example, the Political Maps of Latin America. It is expected that the involvement of the Plan Ceibal community and the international gvSIG community will help to spread gvSIG Batoví. Also, as with other free software, the communities will help to further advances in the gvSIG Batoví development. Ing. Agrim. Jorge Franco – Ingeniero Agrimensor egresado de la Universidad de la República. Director Nacional de Topografía – Ministerio de Transportes y Obras Públicas. Docente grado 2 del Departamento de Agrimensura Legal del Instituto de Agrimensura, Facultad de Ingeniería, Universidad de la República. MSc. Ing. Agrim. Rosario Casanova – Ingeniera Agrimensora y Magíster en Ordenamiento Territorial y Desarrollo Urbano de la Universidad de la República. Docente del Instituto de Agrimensura desde el año 1994. Profesora Adjunta desde el año 2005. Jefa del Deparamento de Geomática del Instituto de Agrimensura desde junio de 2012. Integrante del Grupo en Tecnologías de la Información Geoespacial desde el 2008.
de la Universidad de la República. Tesis de Maestría "Servicios Geográficos en Plataformas de Gobierno Electrónico". Docente del Instituto de Computación desde el año 2005. Profesora Adjunta desde abril del 2012. Integrante del Laboratorio de INtegración de Sistemas desde el año 2005.